Welcome to another edition of GAME MUSIC HELL! Today, bassist and chiptune master Paul Weinstein, AKA Chipocrite will discuss an Atari arcade port that falls short: 720° for NES. Paul Weinstein (former bassist of MJ Project, Philly’s favorite jamtronfusion monstergroup) started making music with Game Boys in early 2009. It was the sound he felt he was destined to create, a mix of old and new, a way to bridge the comforting video game tones he grew up with and the complex but catchy songs he was hearing in his head all those years later. It’s exciting, it’s pretty cool, and, above all, it’s some of the most fun he’s ever had making music. So naturally, when he asked if he could write an article for GAME MUSIC HELL, I was more than happy to oblige. You can find Chipocrite at www.chipocrite.com. His next show will be on 11/10/12 at the Anime USA Convention in Washington, DC. For details, check out animeusa.org. Now, without further delay, here’s Chipocrite’s analysis of Atari’s 720° for NES! Welcome to the second installment of my new segment: GAME MUSIC HELL. Each post features a gamer, blogger, or musician discussing their least favorite video game soundtrack. This segment takes a good long look (and listen!) at what we perceive to be “bad” music. I’ve left that interpretation open to each individual writer. Today, the legendary BEthStardust highlights her distaste for Capcom’s Breath of Fire. Known for her insightful, helpful, and self-sacrificing nature as a the undisputed leader of GameFAQs Board-8 for many years, BEthStardust has made quite a name for herself in the world of gaming. Since leaving the boards, she’s continued her work in the game industry, studying game play habits and addictions. A prolific writer and a good friend- here’s BEthStardust’s GAME MUSIC HELL: Breath of Fire. Welcome to a new segment here at Classical Gaming: GAME MUSIC HELL. Each post features a gamer, blogger, or musician discussing their least favorite video game soundtrack. This segment takes a good long look (and listen!) at what we perceive to be “bad” music. I’ve left that interpretation open to each individual writer. Today, we’ll take a look at Malachy_19’s least favorite soundtrack. Malachy_19 is a close friend and a life long gamer. His blog, Initial Reviews, reviews movies, games, and anime culture. 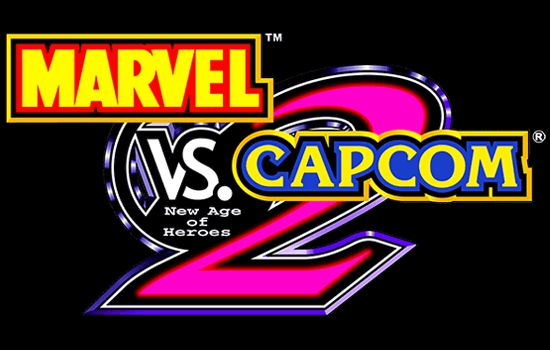 Now, for your reading pleasure, I present to you our first game to be inducted into GAME MUSIC HELL: Marvel vs. Capcom 2 by Malachy_19. Enjoy!